Delivering an all-encompassing reliability program is a work in progress. This is part 2 of the Plant Services' August cover story. My company, Lucite International, is a global player in acrylics manufacturing, and we pride ourselves on always setting our standards high. However, in 2015, our reliability program was not meeting our high organizational standards. Over the years, Lucite invested a good deal of money in smart control valves, monitoring software, and other new technologies, but these improvements were never fully integrated into a comprehensive reliability program. Our reliability team operated with two main strategies. The most-critical assets were designated as “stop to fix”: When vibration monitoring consultants detected a problem, maintenance would shut down the device and troubleshoot. Assets in this category included cooling-tower pumps, process fans, boiler feed-water pumps, large refrigeration compressors, gearboxes, and critical motors. Less-critical assets were considered “run to fail” and would simply run with problems until a maintenance window presented itself or the machine shut down. Assets in this category included process pumps and noncritical motors. In late 2015, the reliability team decided it was time for a change. The team spent two years overhauling the reliability program to improve runtime in tandem with improving productivity. The result has been a predictive monitoring program that lets maintenance see problems coming and keep assets running at peak efficiency while avoiding shutting down equipment. But the real story isn’t where our organization has been; it’s where our reliability program is going. Throughout the design of Lucite’s new reliability program, the reliability team has kept four major strategies in mind to ensure that the new program will continue to grow and become a sustainable world-class reliability initiative. One of the big challenges in trying to deliver success as a reliability team is that it is difficult to show an organization the value of reliability. It isn’t enough to just get reliability right; successful teams advertise their accomplishments. Highlighting successful programs and how they directly impact KPIs was critical to securing buy-in from both management and from our operations and maintenance teams. Using the Emerson AMS 2140 machinery health analyzers, we were able to accomplish our goal of extending available lead time on equipment repairs. By using the handheld devices, technicians were able to identify defects in rotating equipment several weeks before potential equipment failure. This meant we could pre-empt failure by installing a spare pump immediately, or we could plan a controlled plant shutdown, designating a specific time for equipment replacement, and avoiding a production upset. The reliability team was able to translate those avoided production upsets into real dollar values – often, many thousands of dollars – that could be presented to management, clearly illustrating the return on investment of the new hardware. Another of Lucite’s most successful projects was also one of our simplest. Our plant runs a gearbox that is attached to a water-chilled shaft. Condensation was building up on the shaft and pouring water into the oil bath. As a result, we were getting only about four months of performance out of the gearbox – after that, it needed to be rebuilt at a cost of $19,000. Adding a Des-Case desiccant breather solved the problem immediately, and the gearbox has not experienced a failure since the change, saving over $57,000 a year on that machine alone. The success that came from these simple changes allowed the reliability team to show off the value of the work they perform. It also opened the gates to the discussion of how we treat our oil. At the time, oil was carried across the plant in open buckets, exposing it to rainwater and other contaminants. The desiccant fix gave us the credibility we needed to show that a more comprehensive oil treatment plan was not only necessary, but also would provide a significant financial return. As a result, Lucite now has a comprehensive oil treatment regimen that includes oil filtration with storage in clean, sealed containers as well as the use of a large portable filter unit that can be used on different equipment with large amounts of oil. The tools we added to our reliability program have significantly increased the reliability team’s effectiveness and credibility throughout the plant. However, we would be mistaken to assume that our job is done. It is more important than ever that the team looks to the future to move from good reliability to world-class reliability. We have many programs in development to ensure that Lucite never falls behind in reliability planning again. At the heart of our planning is our drive toward using an automation platform, Emerson’s Plantweb Optics, to bring together all of our reliability data in one place to help improve reliability. Right now, we have the tools that we need for a successful reliability program; however, all our individual programs are siloed. Vibration is monitored in one area, oil quality in another, motor circuit analysis in another. We will use Plantweb Optics to deliver the right predictive notifications to the right people before aberrations become problems. Victor Foster, CMRP, is a reliability engineer at Lucite International. He has an extensive maintenance and reliability engineering background across many industries. Foster has extensive training in root-cause failure analysis, reliability strategy, best practices, and FMEA and holds a certificate from the Reliability and Maintainability Center at the University of Tennessee Knoxville. He is certified as a machinery lubrication technician (MLT I) and for ISO Vibration Analysis I. Contact him at victor.foster@lucite.com. Centralizing reliability data and streamlining its delivery will mean a significant increase in awareness, flexibility, and efficiency across the plant. The reliability team will be able to respond faster and more effectively to any problem, using available data, history, and trending to define problems and develop solutions. Our plan is to eventually use our automated platform to allow us to click on an asset and see an overall asset health percentage that encompasses multiple readings: vibration, oil sample, ultrasound, infrared, and motor circuit analysis. If asset health ever drops below a certain percentage, we want a specific notification delivered via mobile alert to the person who needs to know immediately. We also want a one-stop location for trending and documenting all reliability data in an electronic format. 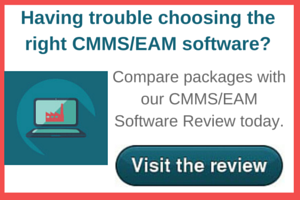 We are also seeing better results from our CMMS. In the past year, we’ve had zero emergency-repair work orders from vibration, meaning that maintenance hasn’t missed anything in its routes. In addition, priority-four work orders – orders allowing the maintenance team to fix problems on its own schedule – have increased by more than 200% since 2016. Finally, we have seen a 16% reduction in work orders written against the equipment on the vibration route. This is the result not only of the new level of analysis but also of allowing the team to implement improvement projects to fix issues and prevent them from occurring in the future. Delivering this all-encompassing reliability program is a work in progress. The resources for delivering such a plan are not immediately available, but all of the tools exist or are on the horizon. As an organization, we need to plan for implementation of those tools to be able to use them when we are ready. That means constantly re-evaluating our reliability plan and making gradual changes to prepare for the future. All of our core strategies and tools have been critical to this process and have made Lucite ready to face the future running more-efficient and reliable operations organization-wide. See the complete picture by helping your teams link tools, sensors, and software together. Collaboration among all stakeholders is critical for better decision-making. Are you tracking your asset failure data?